Viewing art can be done in an innocent, naive way, as that of a child or neophyte, or the same art objects can be seen by a better informed critic. Why not define your encounter with art in a deeper, more spiritual way? I find it helpful to learn about the artist’s life, the reason for creating art, and why they hold an important place in the history of Art. Only then will you experience this connection with the artist, nature, and ultimately a higher being. Have you ever thought about the possibility of divine intervention with the world’s great artists? In 1996 I traveled to the National Gallery of Art in Washington, D.C. to view the Vermeer exhibit. That was truly a highlight in my quest for experiencing great art. After viewing these extraordinary paintings by the only true "painter of light," in my opinion, I was struck by emotion, thinking I had experienced something beyond my human comprehension. How else can I explain the genius of Michelangelo, Leonardo da Vinci, Vermeer, and others? I try to be open minded when viewing art, but I do turn "thumbs down" on a lot of art. In other words, I don’t love all art, I am discerning. When observing art, I like to look close up, and also from a distance. Keep in mind that the way the painting is hung, is done at the artist’s request. You could view a Jackson Pollack and think maybe it’s upside down, but alas, that’s the way it is supposed to be viewed. By viewing art "close up," it allows you to examine brush strokes and slight nuances. Is it "impasto" as in the work by Rembrandt or Van Gogh? Or is the medium "pastel" as used by Degas? One of my favorite paintings is Leonardo Da Vinci’s "Genevra de' Benci," from the National Gallery of Art. Upon close inspection, one can see the blush in her cheeks, the shine on her curly hair, the look in her eyes. This painting, done on wood, was said by a fellow observer to be far more beautiful than the "Mona Lisa." I have not yet visited the Louvre, but I hope to someday make the comparison myself and draw my own conclusion. It has been said that the eyes of the "Mona Lisa" follow you from wherever you are in the room. 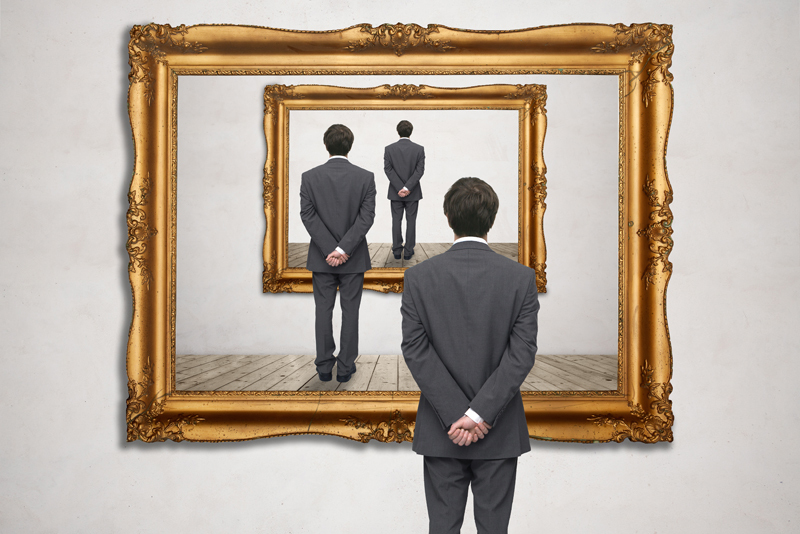 How we ultimately view art is a very personal experience, based on our attitudes and knowledge. If you look at the flower, Jack in the Pulpit, painted by Georgia O’Keefe and see only a flower, that’s OK. But there have been many other interpretations of her work, including female genitalia. Farfetched? Perhaps, but that’s the beauty of viewing art, it’s what you want it to be. Available here from Art.com.